One of my favorite things about the holidays are all of the appetizers! 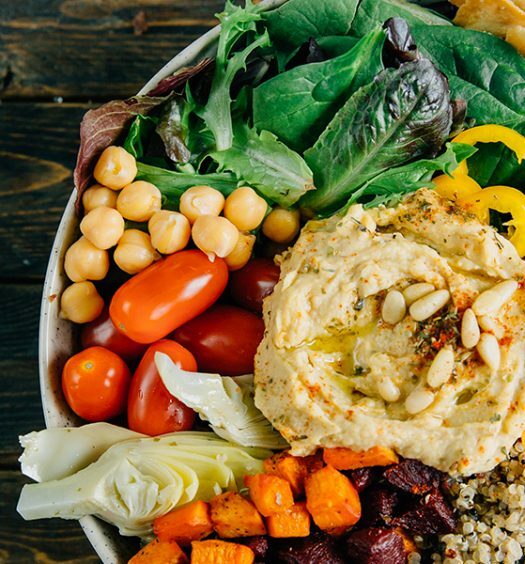 I’ll admit that I’m one of those people who’ll often skimp the main meal so I can fill up on all of the yummy appetizers! 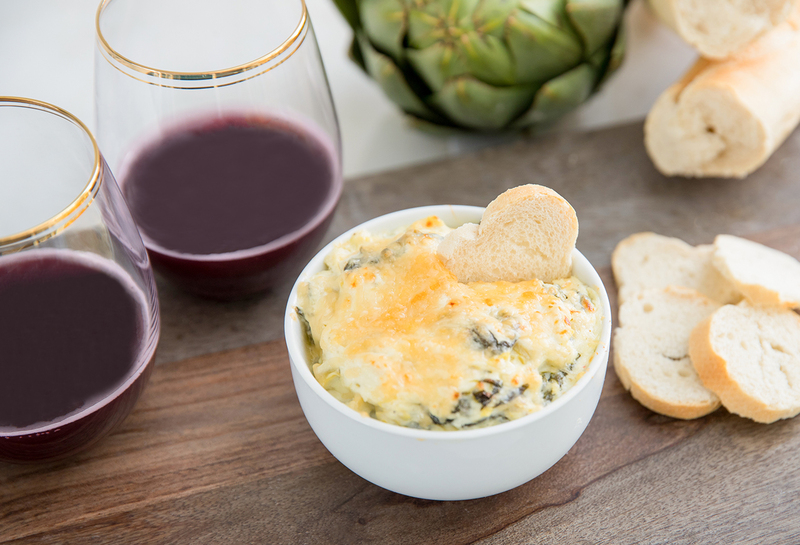 This creamy Spinach Artichoke Dip is a party staple. 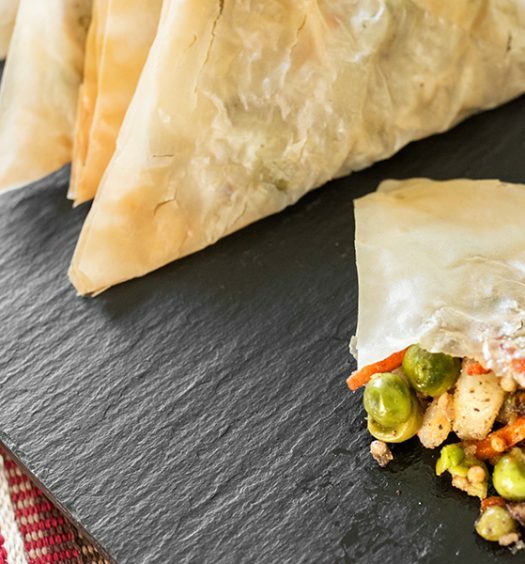 Our version is healthier than the traditional version, since we used Greek yogurt instead of the usual sour cream to decrease the fat and increased the protein. You can also have this ready to serve in only 30 minutes!! In a medium pot, over medium heat, heat the oil and garlic until fragrant. Add the spinach, crushed red pepper, salt, and pepper, stirring frequently until the liquid from the spinach has evaporated. Add the artichokes and cook for 3 minutes. Reduce the heat to low, then add the cream cheese and mozzarella. Add the Greek yogurt and stir until well combined. You can either add the Parmesan at this point, or transfer the dip to an oven-safe dish, top with the cheese, then broil until the the cheese has melted. Serve immediately with a baguette or veggies.